The Tennessean reports here that Glendale Spanish Immersion Elementary School recently brought some of their students together to work with local Colombia-born artists Jorge Yances and Jairo Prado. The first grade class made a collage of South America with Yances, and the second grade class worked with wood sculptures with Prado. Read the entire article and see the first grade/Yances collage here. 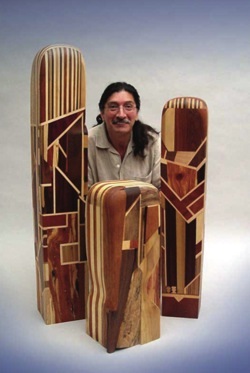 Prado, who immigrated to the U.S. from Colombia in 1984, has bios at the web sites of SouthernArtistry.org, the Nashville Airport, and the Metro Arts Commission. He was described by the Nashville City Paper as an "artistic heavyweight" in 2001. Yances immigrated to Nashville with his family when he was 13 and has a bio at the web site of the Metro Arts Commission here. He was profiled by the Nashville City Paper here in 2006. 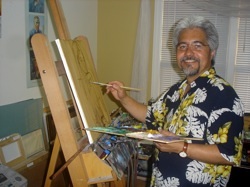 According to that profile, "[t]he Brentwood resident has sold more than 100,000 of his original works, received a commission from Walt Disney World, swept award shows by capturing first place awards and headlined major art shows in Las Vegas and Washington D.C." Yances and his wife Pilar Arrieta are the former owners of the Palette Gallery and Café in Hillsboro Village.